I don't know about you, but I'm very much looking forward to shopping and wearing all the trends that 2019 has to offer. 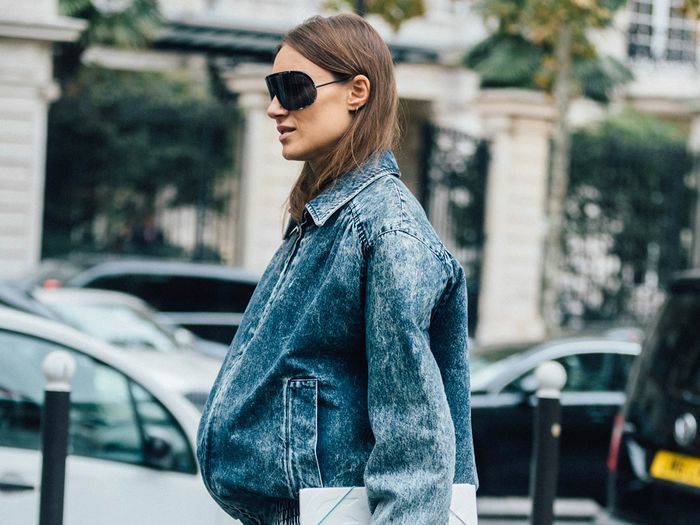 If the S/S 19 fashion weeks are any indication (and they are indeed), it's shaping up to be a very stylish year. With that in mind, I'm going to have to be selective when choosing which trends to buy into, which is why I've chosen eight to buy on the cheap. The affordable fashion trends I'm shopping for in 2019 can certainly be found at designer prices, but the ones listed below may not stay particularly relevant longer than the span of this year. So, instead of spending hundreds on an item I may eventually grow tired of, I'm spending less than $100 (or $99.99) on things like bucket hats and tie-dye. Keep scrolling in case you want to join me— and you should! Lots of cool things to buy await. The bike short trend is a big deal right now, but luckily, most of the best iterations of it are under $100. Rest assured that every designer brand is going to release its own take on this trend, but you can't go wrong with the OG brand (Teva) or an athletic brand like Nike. Tie-dye is positioned to be the It print of the year, but it's one that quickly comes and goes out of style. Save your cash for something with more longevity. The bucket hat trend started bubbling back up last year, and based on all the options currently on the market, it's only going to get bigger. That said, it can be a tough one to embrace, so it may not be here to stay. Being a magpie, I love anything covered in crystals. But this is a fun trend that I'm probably not going to find myself wearing on a regular basis, so I'm saving my money for classic leather belts. Neon is another trend that has come and gone quickly over the years, so I won't be spending much of my budget on it. The Gigis and Bellas of the world are endorsing this trend, but I'm guessing that it won't last longer than tiny sunglasses did. In my humble opinion, the best headbands on the market are simple and elegant, and there are plenty of those to be had for not much money. Next up: the 2019 trend that freakishly stylish women will wear first.